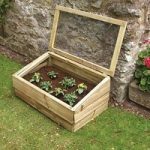 This great Cold Frame is a larger than average size and works well if you are limited in space or need an additional building to house and protect young plants or seedlings. 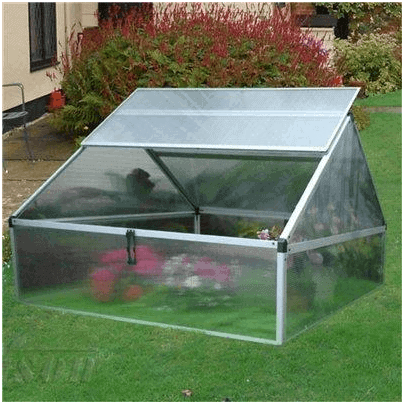 It is an aluminium frame trimmed in silver with polycarbonate glazing – notoriously warmer than regular glass. 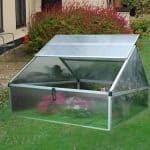 An attractive design with two top lid openings, it will complement your greenhouse or garden well. 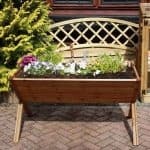 Great for a first time cultivator too, you will be pleased with this affordable, practical piece. 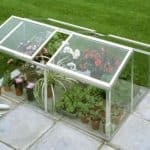 This is a cool space age design that looks so nice in the garden or in the green house. The price is fantastic for one or even multiples. 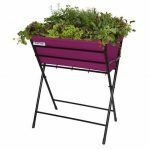 It holds more than just seedlings, I like it for herbs and spices too! Critters love them so this box a makes a bit of a slippery slope for them. 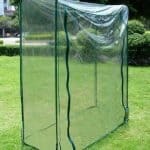 Assembly is nothing because you don’t really assemble it and the space is perfect for green house or garden.